1. Marinate chicken strips in ginger, garlic, chillies and salt. Cover the chicken in milk and leave it in the fridge for a minimum of two hours. 2. 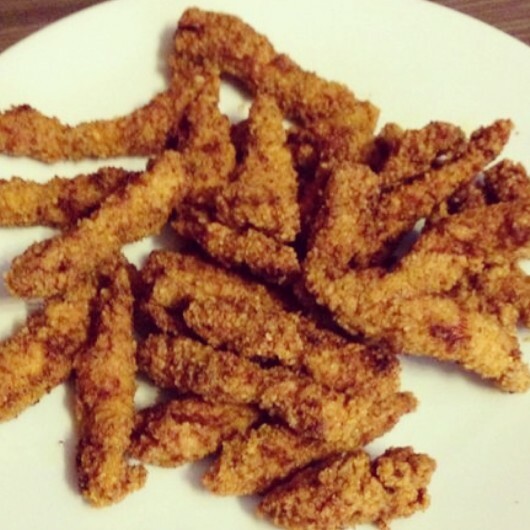 Then take each chicken strip and coat it in the chicken fry powder. 3. Dip the chicken piece into the milk again and now coat in orange coloured breadcrumbs. 4. Deep fry the double coated chicken pieces. 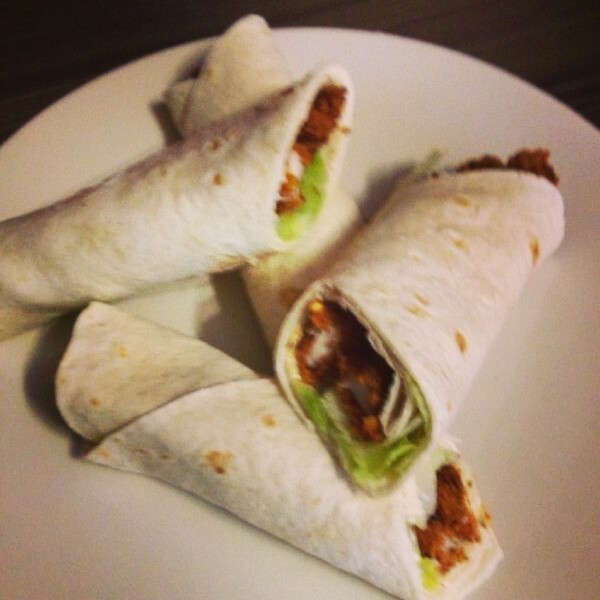 Serve chicken in tortilla wraps with lettuce and chilli pepper mayo. Note: To make the Chilli Pepper Mayo sauce crack some fresh peppercorn and mix into mayonnaise. Add chilli flakes to taste and mix well.